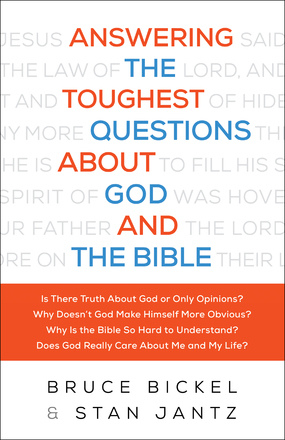 Got questions about God and the Bible, that OK everyone has had questions in this area. Bruce and Stan do their best in this book to try to answer those questions. Is God real and How can you know? These and many more questions receive answers in this well written and informative book. Ten chapters that ask the questions and the authors do their best to answer them. Each chapter starts with an introduction to the questions. Some of the questions came from Chris Greer, a pastor, who asked people individually and in small groups by online surveys for questions that they might have. The questions asked are shown and answered, discussion questions are offered at the end of each section. The layout is very helpful if you would like to use the book in a study group or just for your own private reading. I found the book very interesting and contained Biblical facts and answers that are reliable and informative.